New Music Library Announced for Wedding Videos! Sandals and Beaches know how important it is to capture every precious moment of your destination wedding. That’s why we offer three distinct styles of wedding videos to match your style, including Vintage, Traditional and Contemporary videography packages. And now, you’ll also have access to a new library of licensed music tracks to be used exclusively on wedding videos! The library of 50 tracks has been carefully selected to provide a wide variety of tunes that range from contemporary music to classical wedding pieces, all designed to complement your style. Find the links to our new music library within the WeddingMoons® videography section on Sandals.com and Beaches.com and listen to the Contemporary Collection and Classical Collection prior to your arrival at the resort. Create and share your wedding memories online with this exciting new development, sure to bring life to your wedding video! *Certain guidelines apply based on date of wedding video purchase. 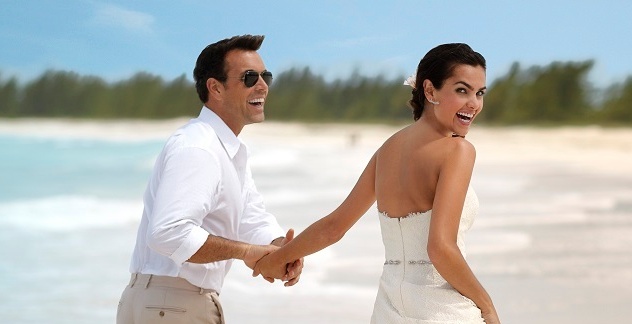 Please contact our wedding concierge for further details at 1-877-SANDALS or 1-877-BEACHES.